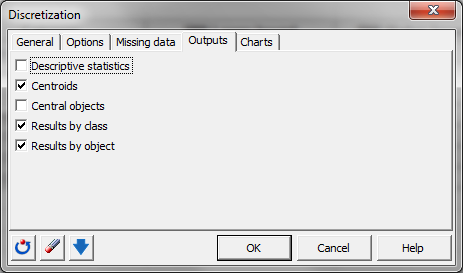 This tutorial will help you discretize a continuous variable based on different methods, in Excel using XLSTAT. 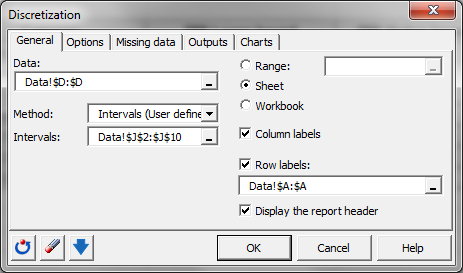 Once XLSTAT is activated, select the XLSTAT / Preparing data / Discretization, or click on the corresponding button of the "Preparing Data" toolbar (see below). You should select the data on the Excel sheet corresponding to the BMI (column D). Tick the option Column labels as the selection contains the variable name "BMI". Go to the tab Outputs to select which results to compute. 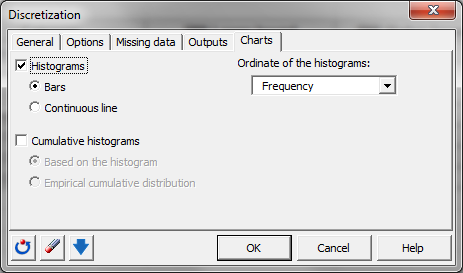 Select the Centroids, Results by class and Results by object.